Good Morning Ladies. I just hate it when your mind goes off into another world! There was a challenge out there for Men, and for the life of me I don’t remember where I saw it. Oh Well, here’s my Man Tag. 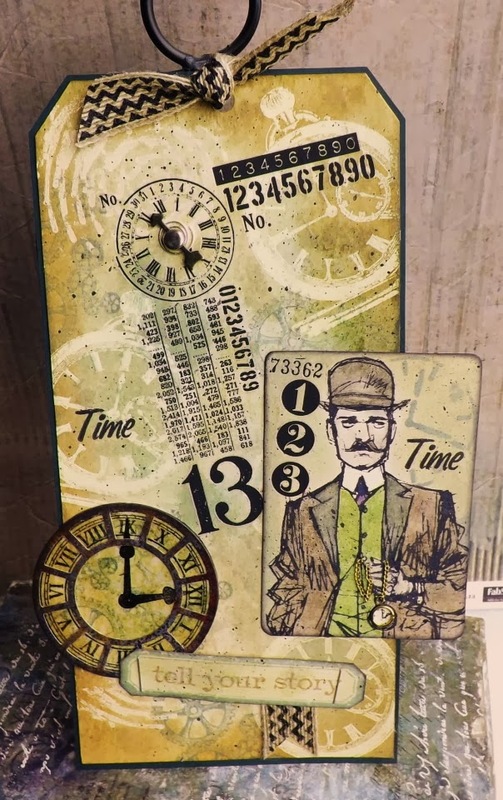 From Tim’s Time Travelers Set, I used the Watch Bob Man along with two shades of green distress inks and two shades of brown to make the background. Kinda Cool, Love the coloring on this background, and continued the colors into the man’s coat and vest. The large watch (from Artful Illusions) was embossed. 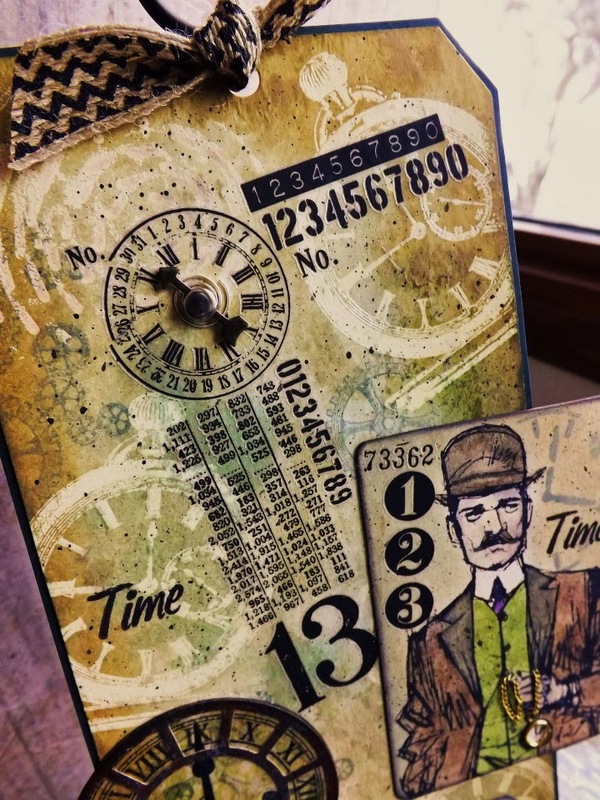 Tim’s Remnant Rubs (Numbers set) was added. 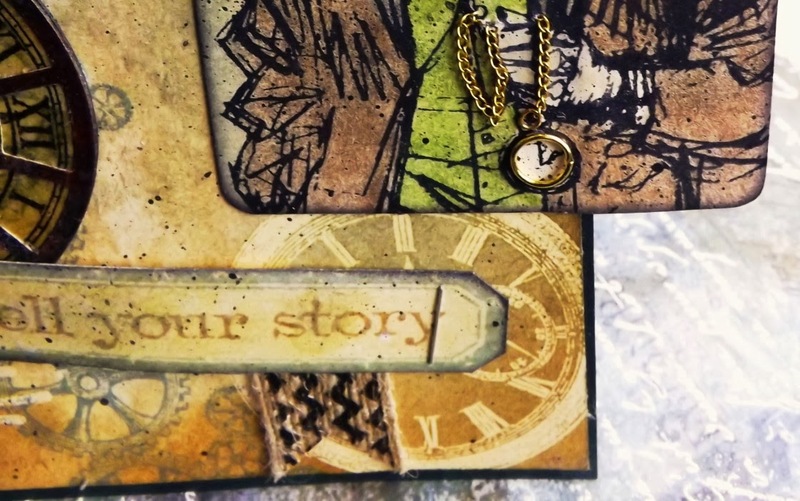 from La Blanche and time stencil is from. Gold chain and jump ring for watch bob, along with burlap trim was added. 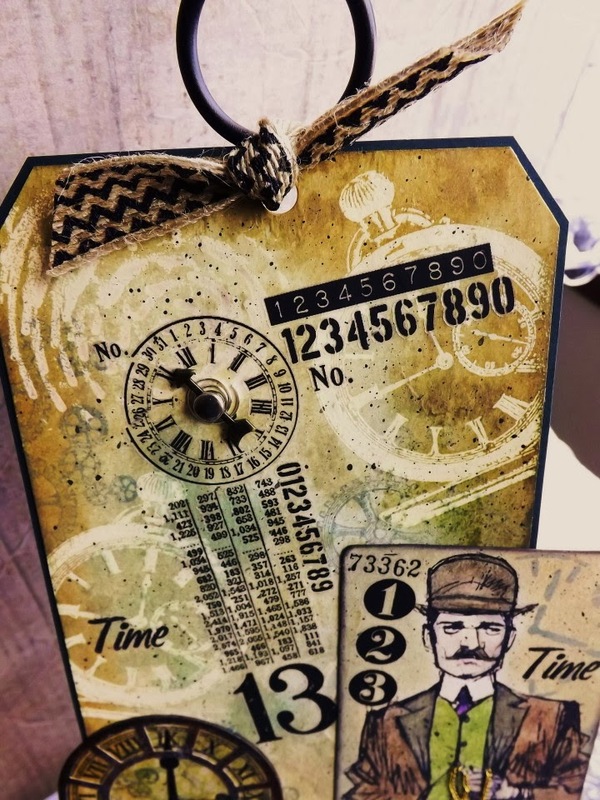 This is a fantastic Male themed Tag, I love the ghosting shapes on your BG. Such a great title for this post and what a wonderful tag. Love when art goes beyond the edges of a tag, always brings such added interest. Now I know you hate it when your mind goes off for a wander, but know you are in good company! I hope you find the challenge, because this is a beauty to be shared! 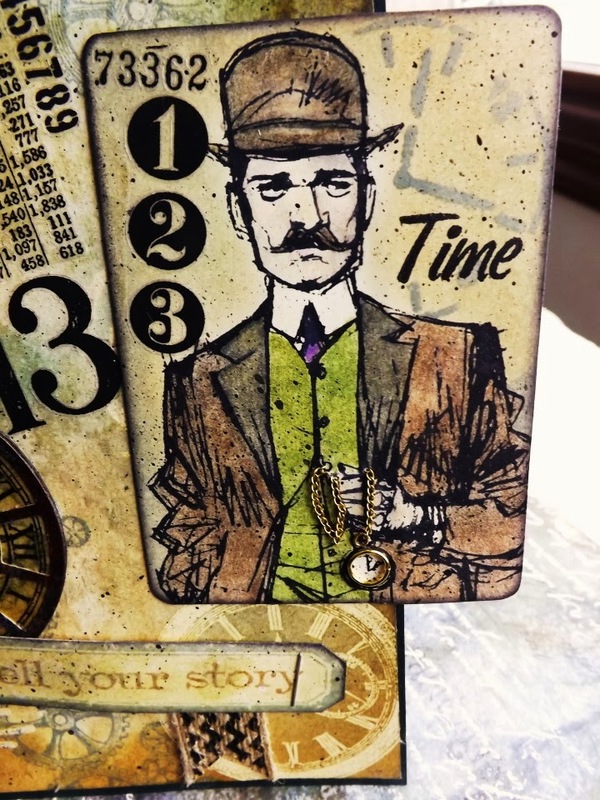 Love how you used and colored the Time Traveler and yes, I noticed the splash of purple on his tie! Love this and all the colors and masking, GF! Hugs!